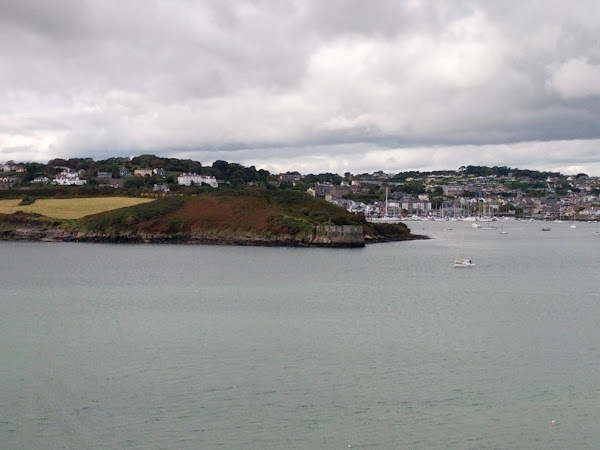 We took a day trip to Kinsale, which is a fairly little town about an hour bus ride away from Cork. I brought Tobi with me, but we spent most of the time there walking up hills on roads with no sidewalks, so there weren't a whole lot of photo opportunities. I didn't take very many of Tobi (mainly because it was super windy and I was a bit afraid she would fall over or get blown away), and most of them didn't turn out, but I did get a few. I think she enjoyed the excursion. If we go back when we have visitors again in October, I might bring her again.